What a painful way to love! 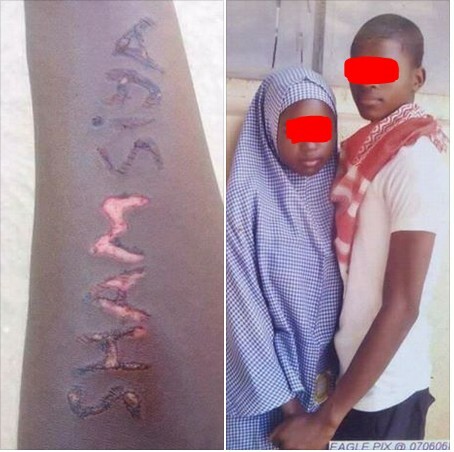 A boy went to extreme lengths and great pain to show how much he loves his girlfriend (who is still in junior secondary school). Probably due to the unavailability of funds for a tattoo, the crazy-in-love boy went local by injuring himself all in the name of inscribing or "tattooing" the girl's name (Shamsiya) on his hand. Photos of the young students are trending online after they were posted few hours ago.